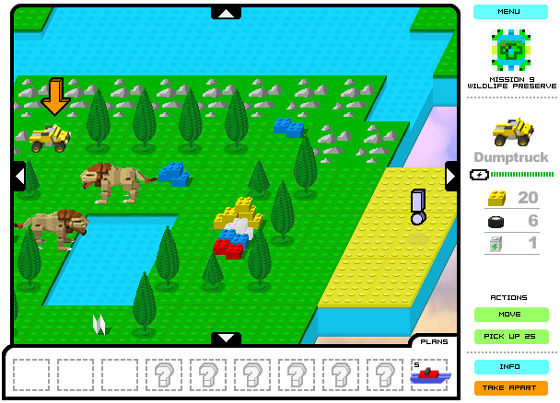 The core activity of LEGO is building, and LEGO Worldbuilder was a puzzle game where players collected LEGO bricks and used them to construct vehicles, animals, and other objects. The tight game design was echoed in the spare infographics of Frank Lantz's art direction. A very modestly-scoped puzzle game, its combination construction and exploration feels a bit like a miniature version of Minecraft.